SAN FRANCISCO—At its public meeting on October 27–28, the Judicial Council will consider requests from the superior courts in Del Norte, Kings, Mono, and Siskiyou Counties for supplemental funding for FY 2014–2015. The council is required by statute to set aside each fiscal year 2% of the total funds appropriated in the Trial Court Trust Fund to support operations of the trial courts. The funds must be used to establish a state-level reserve for trial courts that suffer unavoidable funding shortfalls, unforeseen emergencies, and unanticipated expenses for existing programs. There is $37.9 million set aside in the Trial Court Trust Fund for the remainder of this fiscal year; no more than 75% ($28.4 million) of those funds may be allocated by the Judicial Council by October 31. The total amount requested by the four courts is $963,000. 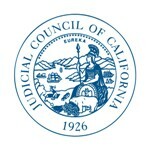 Changes to 2% State-Level Reserve Process: The council will consider recommendations from its Trial Court Budget Advisory Committee to expedite the return of unallocated reserve funding to trial courts earlier in the fiscal year and to establish a process for courts to apply for emergency funding after the reserve funds are distributed. Court Closures: Per statute and its normal meeting procedures, the council will receive a report on which trial courts have closed courtrooms or clerks’ offices or reduced clerks’ office hours because of budget reductions. Since the previous report, 15 superior courts—Amador, Contra Costa, Fresno, Glenn, Humboldt, Kings, Mono, Napa, Plumas, Santa Barbara, Santa Clara, Sierra, Solano, Stanislaus, and Yolo Counties have issued new notices of closures or reductions. Napa County’s Seismic Experience: The council will hear from its Court Facilities Advisory Committee and Presiding Judge Rodney Stone of the Superior Court of Napa County about the judicial branch’s response to the August 24 earthquake that damaged the Napa Historic Courthouse and surrounding communities. The discussion will identify implications for other courthouses and the need for additional funding to modernize or replace aging court buildings. Final Report of Self-Represented Litigants Task Force: The council will receive the final report from its task force charged to implement the Statewide Action Plan for Serving Self-Represented Litigants. This report identifies parts of the plan that have been put into place, those that remain to be done, and those that require ongoing education, technical assistance, research, and evaluation. Adoption and Permanency Month Resolution: The council will consider adopting a resolution proclaiming November to be Court Adoption and Permanency Month. The proclamation recognizes the ongoing efforts of California’s juvenile courts and their justice partners to provide children and families with access to fair, understandable judicial proceedings that lead to just permanency outcomes. The council’s two-day public business meeting is scheduled for Monday, October 27, from 2:00 p.m. to 4:00 p.m., and Tuesday, October 28, from 8:30 a.m. to 12:50 p.m., at the Judicial Council Conference Center, Hiram Johnson State Office Building, Third Floor, Ronald M. George State Office Complex, 455 Golden Gate Avenue in San Francisco. A live audiocast of the meeting will be on the California Courts website, and the agenda and council reports are posted online.